Three Monstrous Masters: Adam Cline, Ryan Stegman, and Arthur Adams. | The Sketchcard Saloon. ← We Have Horses WITH Bayonets. That Red Sonja sketch card is the latest treasure in our collection. It is the creation of a modern master known as Adam Cline. 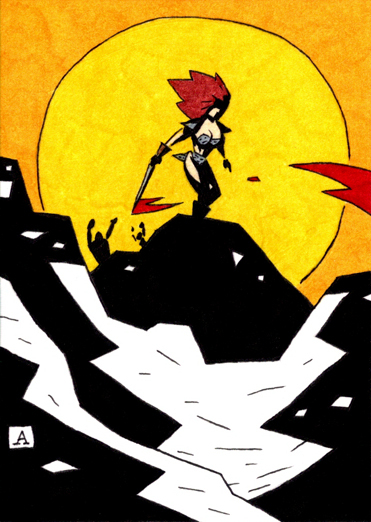 Red Sonja sketch cards are part of a tradition that has captured some of the most magnificent talent in all the comic book industry, and today we celebrate three. 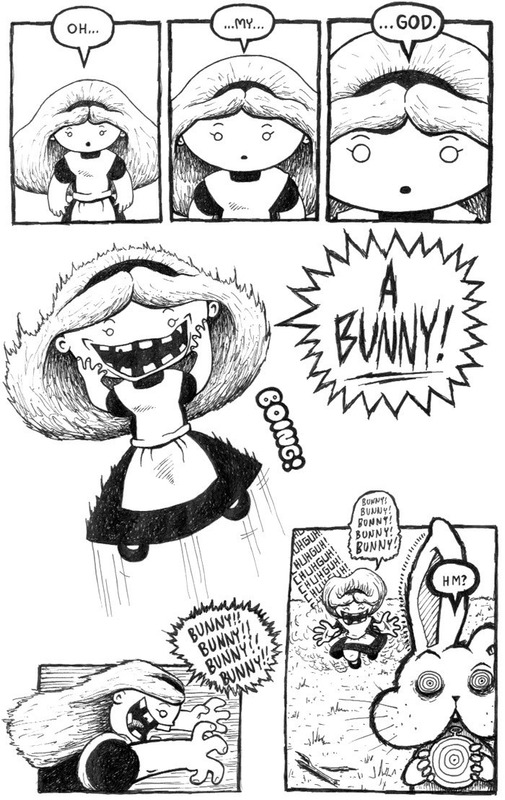 Those two pages, featuring Alice in Wonderland and Boo-Jee Girl, show the edgy insanity that flows from the mind of Adam Cline. Adam lives on the outside extremes of the genre, so now we take one giant step inward. 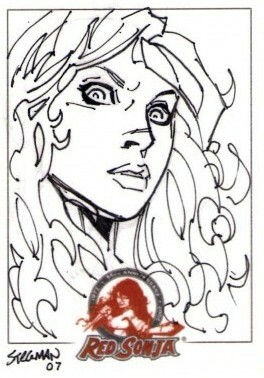 Ryan Stegman also did Red Sonja sketch cards. 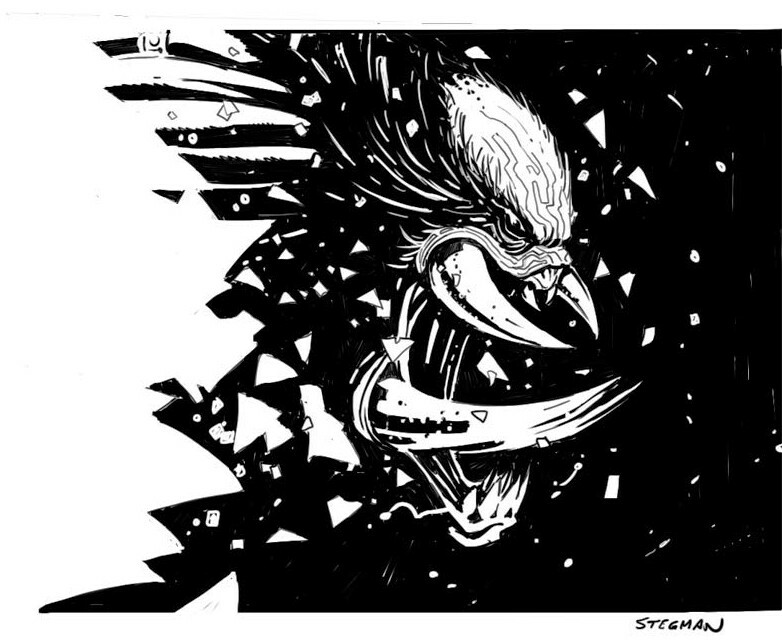 Ryan Stegman is wicked intense and burrowed in deep. He slings a mighty Predator, but he has also been given the amazing job of drawing the upcoming Superior Spider-Man book. 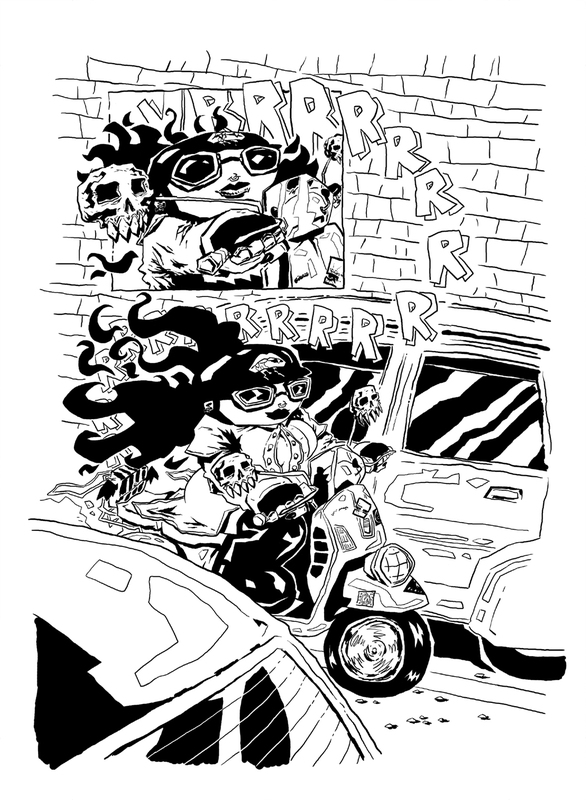 Monstrously cool. And then there was one. One Arthur Adams. One singularly spectacular career. The master that keeps on giving. Yes, Art Adams did Red Sonja sketch cards. Arthur Adams can draw monsters that make me cry. He seems to be an actual superhuman with a pencil and pen. He was recently given the chance to draw Hawkeye’s fantasy of seeing his girlfriend “wrestling” with other women in AvX Vs. #6. As a comic book fan, Art Adams gives me a reason to live. This entry was posted in Artist Spotlight and tagged Adam Cline, Alice in Wonderland, Arthur Adams, Bride of Frankenstein, Predator, Red Sonja, Ryan Stegman, Spider-Woman Fantasy, Superior Spider-Man. Bookmark the permalink.